Fits '04-later XL models (except XL883N, XL1200C, XL1200N and '14 XL1200T) equipped with Solo Tour-Pak® Rack. Fits '00-later Softail® models (except FLS, FLSTNSE, FLSTSE/2/3, FXCW, FXCWC, FXS, FXSB, FXSBSE, FXSTD and FXSTSSE3) equipped with H-D® Detachables™ Solo or Two-Up Tour-Pak® Rack. 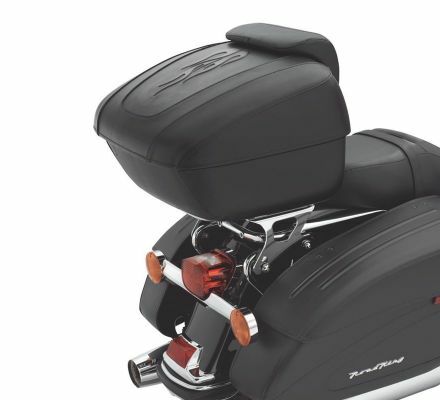 Fits '97-'13 Touring models equipped with H-D® Detachables™ Two-Up or Solo Tour-Pak® Racks.